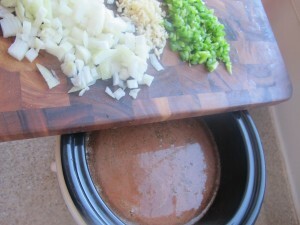 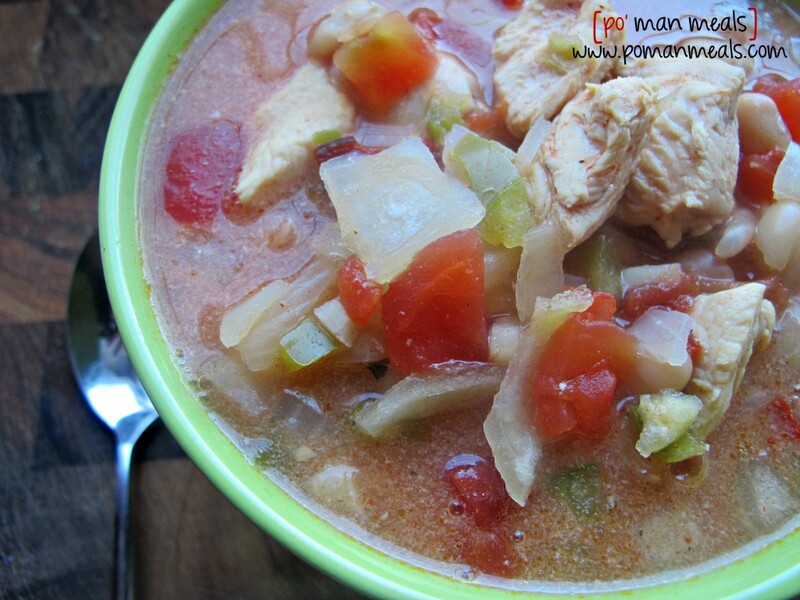 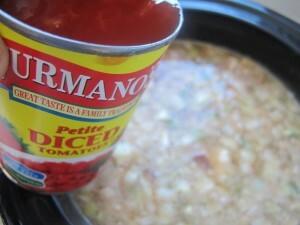 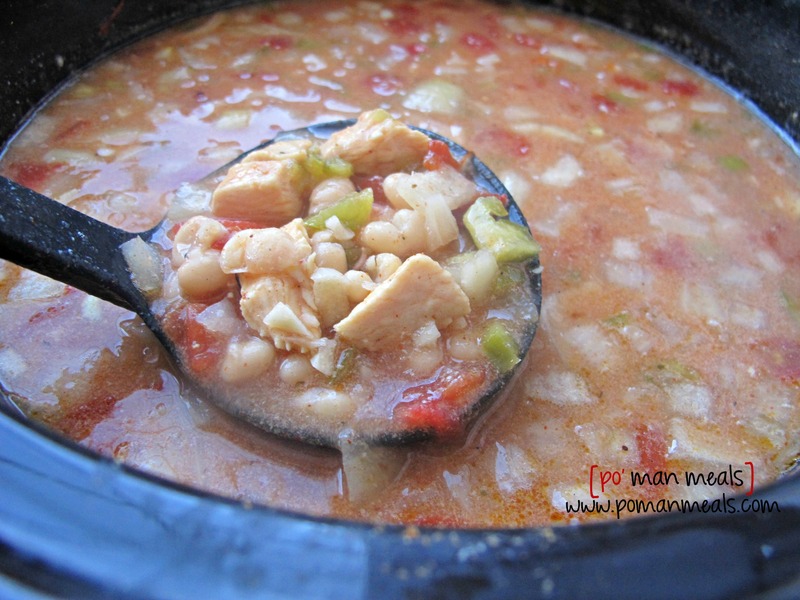 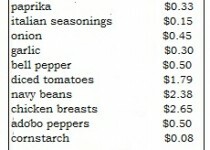 add the chicken broth, seasonings, chopped veggies and canned tomatoes to the crock-pot. 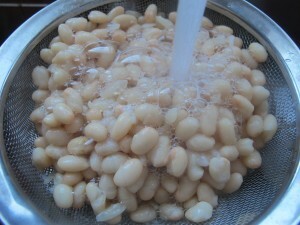 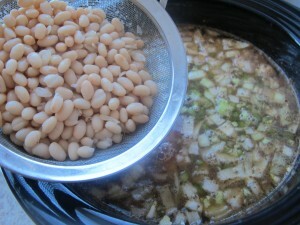 rinse the cans of beans through a sieve and add to the crockpot. 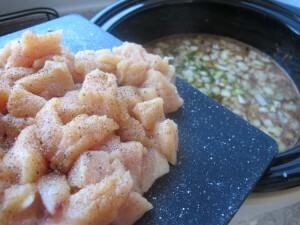 cut the chicken into cubes and season with season salt/pepper to taste before adding to the crock-pot. 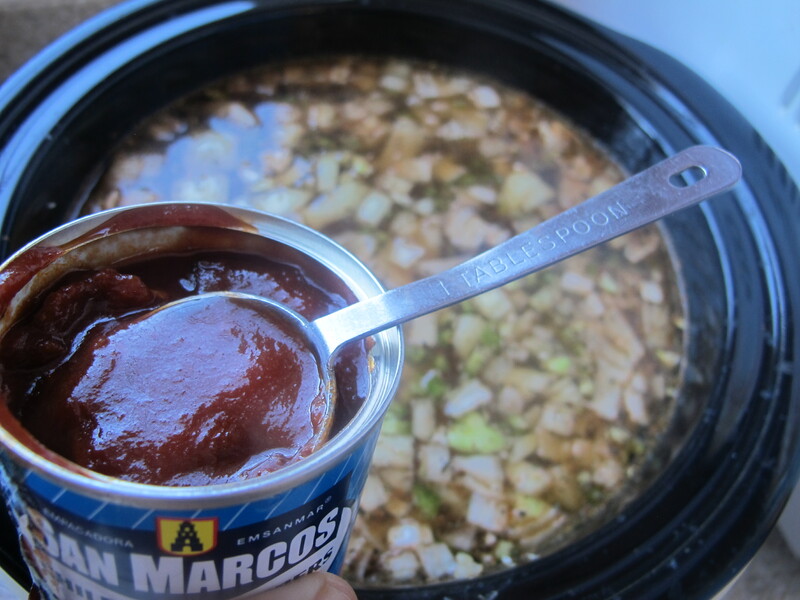 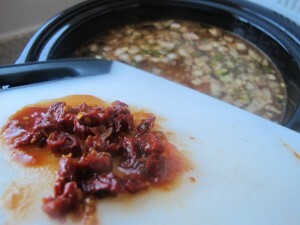 chop 3 of the chipotle peppers and add it, along with 2 tablespoons of the adobo sauce to the crockpot. 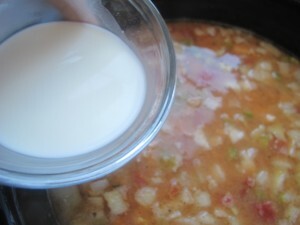 in the last couple hours of cooking, combine the cornstarch and water together in a small bowl. pour into the chili. 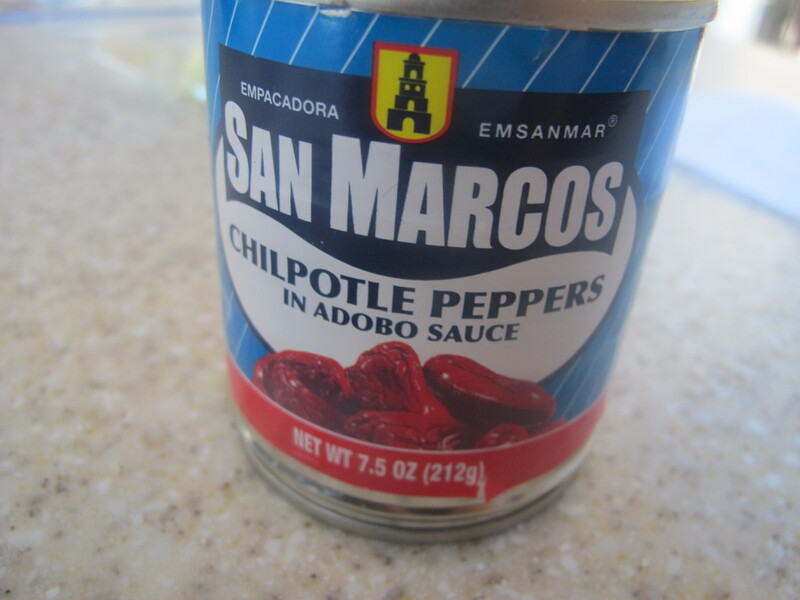 taste, season accordingly. 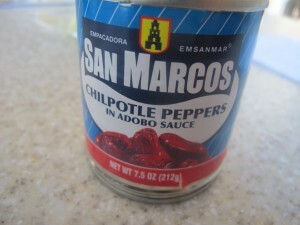 serve with your favorite chili topping(s) such as sour cream, cheeses, cilantro or even avocado!